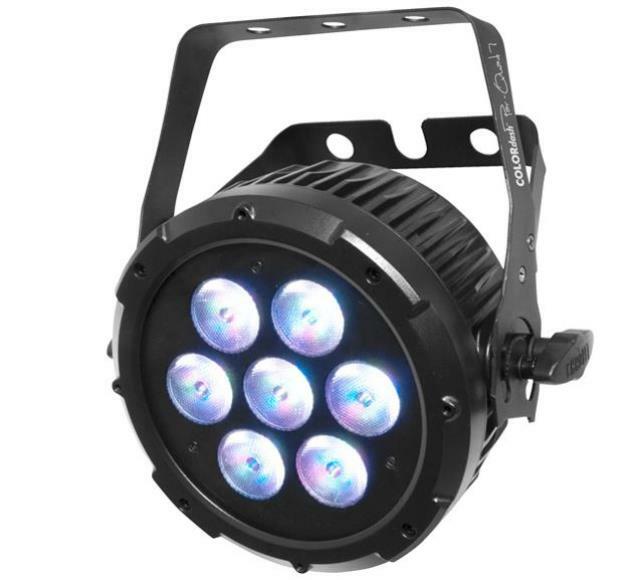 Ultra-compact, COLORdash Par-Quad 7 fits in places where other fixtures cannot. Seven quad-colored RGBA LEDs project deeply saturated colors and variations of white at a variety of preset color temperatures and without multi-colored shadows. A split-yoke bracket eliminates the need for floor stands. Power linking with locking Neutrik powerCON power in and out and 3- and 5-pin DMX connectors ease connections and setup. 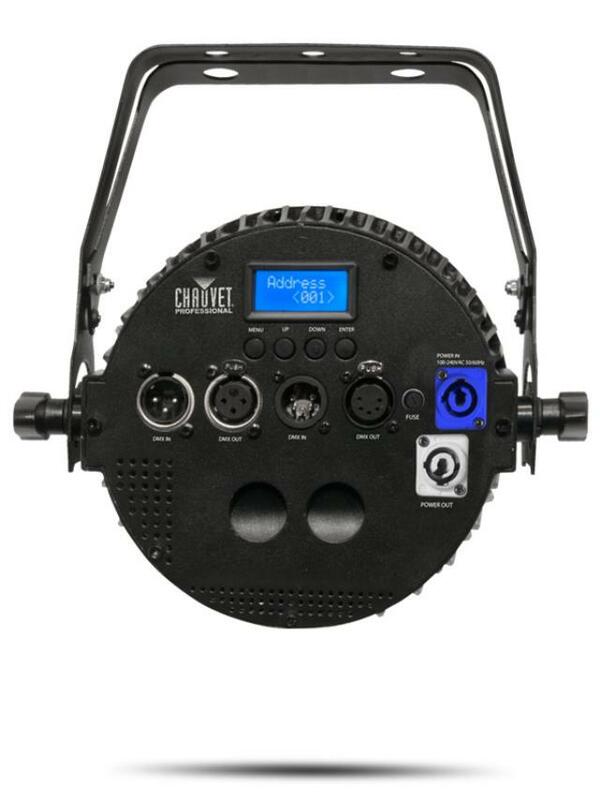 * Please call us for any questions on our chauvet colordash par quad 7 led rentals serving Corvallis OR, Albany OR, Salem OR and surrounding areas.